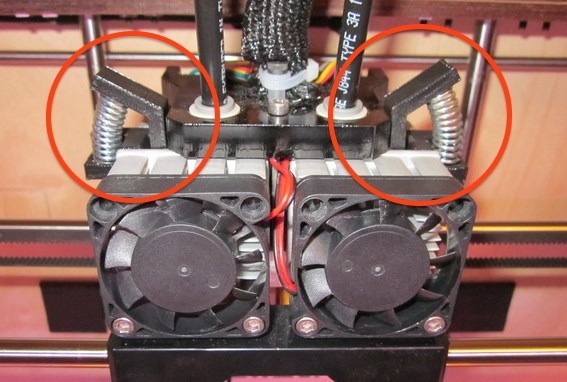 Survey of Several Years of Desktop Printer Mods and Upgrades #3DPrinting #3DThursday « Adafruit Industries – Makers, hackers, artists, designers and engineers! After two years, I think I have my Replicator (apparently the first one shipped) finally working reliably to produce >1 hour prints. Thank you @iandanforth for asking if I had a description of the mods I did and prompting me to write this. The Replicator has been a very frustrating product. After a few out-of-the-box failures, it worked great for the first week and then rapidly deteriorated. 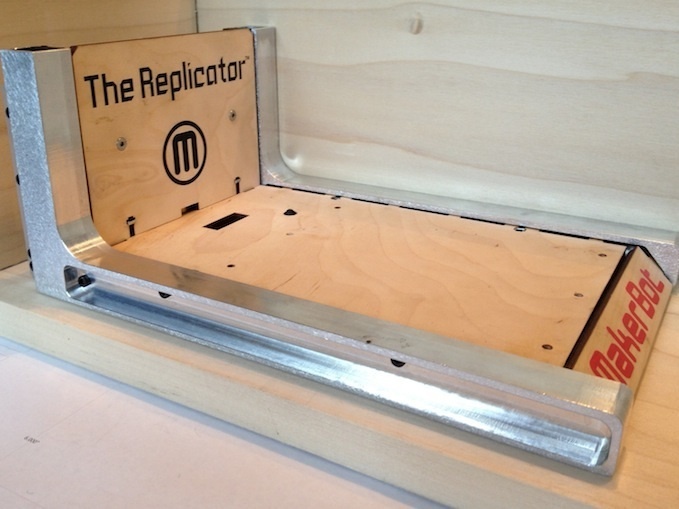 And a few months later, the Replicator 2 was announced and support for my product rapidly evaporated. Many of the things I print are small and take less than 15 minutes to print, so I’ve been dealing with a less than 30% success rate of printing, or using other 3d printers. But I think I’ve been slowly iterating towards a reliable Replicator. Went to three-point bed leveling by removing one of the four leveling nuts. Read the entire sequence back on his blog!